Psychic-type Pokemon are the “mage class” in Pokemon: offensive powerhouses with weak defenses. In the first-gen games, Pokemon Red and Blue, which the current Pokemon Go roster is based on, Psychic-types were considered the most dominant. It was all thanks to two Pokemon: the spoon-wielding Alakazam and the uber-powerful legendary Pokemon Mewtwo. Back then, the Special Attack and Special Defense stats were still combined into one, simply called Special. 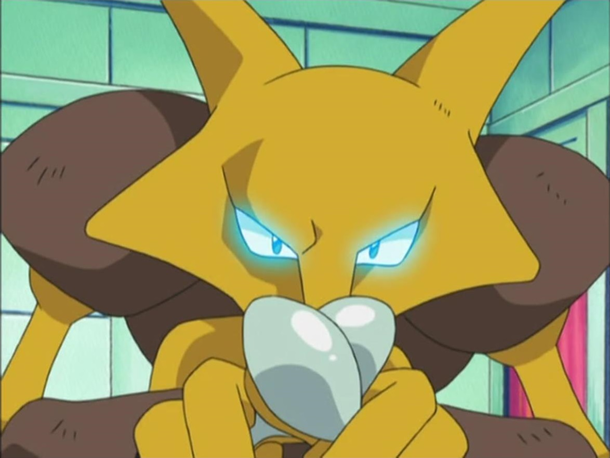 Meaning, courtesy of its very high Special stat, Alakazam could dish out heavy Special Attack damage and withstand an equally heavy Special Attack from opposing Pokemon. Things changed when the second-gen games, Pokemon Gold and Silver, split the Special stat. 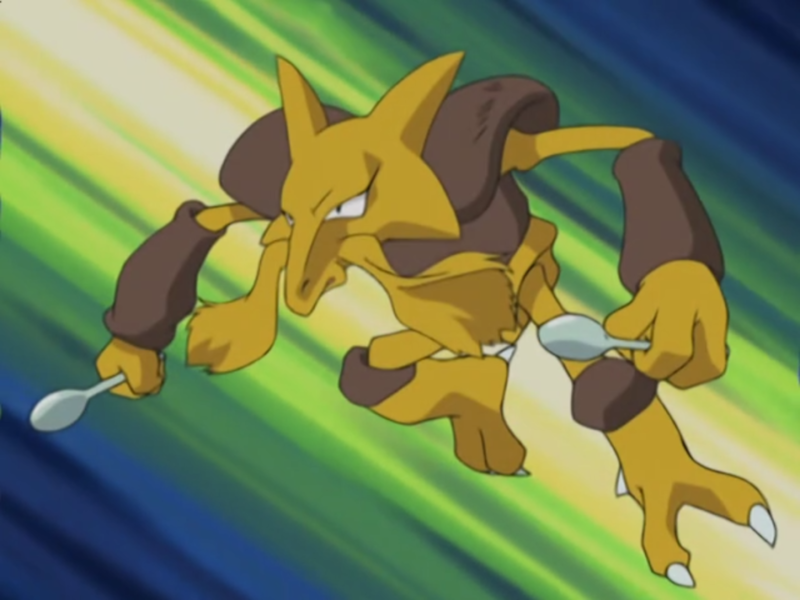 While still powerful offensive-wise due to its amazing Speed stat, Alakazam could no longer take Special Attacks and flip them aside nonchalantly. 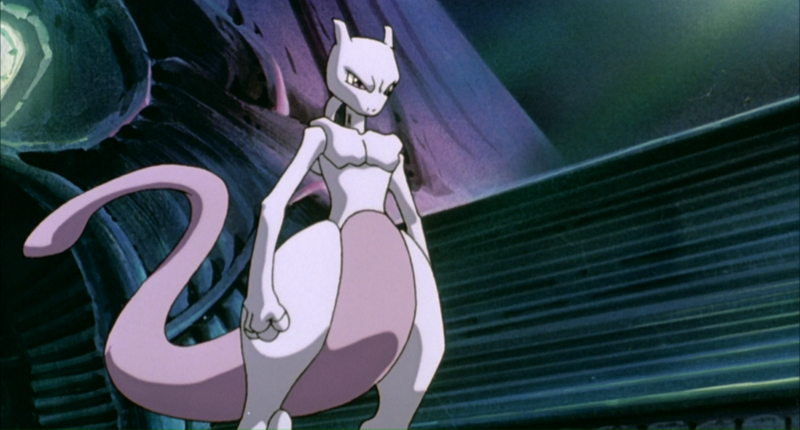 (Mewtwo, on the other hand, was and still a beast regardless of anything else.) In Pokemon Go, however, Psychic-types are kind of a mixed bag. Let’s take a look at how Psychic-types fare in Pokemon Go. This one’s the most obvious. Niantic mostly followed the already established Type strengths and weaknesses present in the main Pokemon games (e.g. Water still douses Fire and Electric still electrocutes Flying). However, Type immunities were completely omitted in the game, most likely for balancing issues. This means second-gen Dark-type Pokemon like Umbreon, Sneasel and the mighty Tyranitar no longer hold sheer dominance over Psychic-types. Dark-type Pokemon were originally meant to counter Psychic-types, hence their immunity to Psychic-type moves. Of course, Tyranitar would still easily make mincemeat out of Alakazam, Hypno and Starmie, assuming the Godzilla lookalike turns out to be as powerful as in the main games. But the other Dark-type Pokemon would now be vulnerable, too. On the flip side, Psychic-types would still be weak to Dark-type moves, so it’s now kind of balanced. 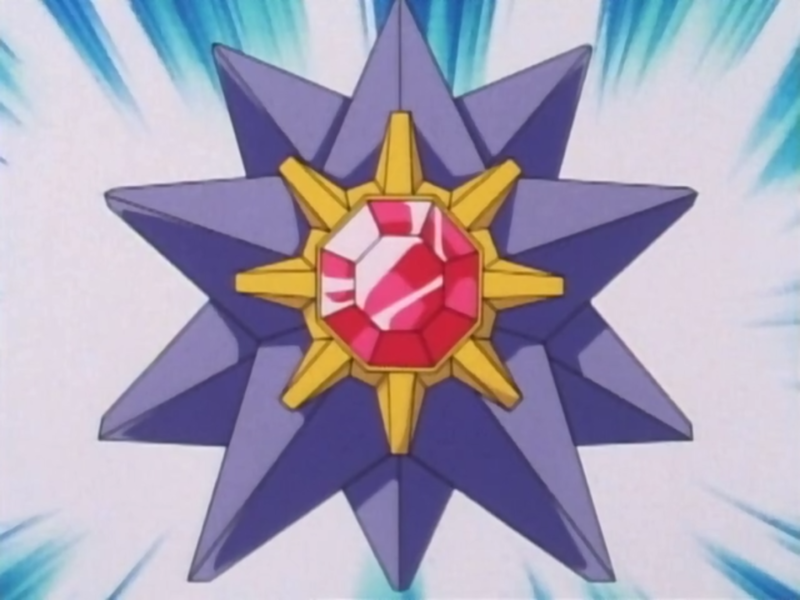 In the main games, Psychic-types are usually speedy, as exemplified by both Alakazam and Starmie. It’s actually necessary for them to be able to hit the opponent first due to their frailty, courtesy of the Special stat split from second-gen onwards. The general strategy for Psychic-types is simple: sweep as many opponents as possible before going down, which is why they are usually decked out with all-offense movesets (this doesn’t apply to legendary Psychic-types like Mewtwo and Lugia, both of which have excellent defenses as well). If you play League of Legends, it’s quite similar to the role of an ADC, which is to set up for late-game sweeps. However, due to the way Pokemon battles were revamped in Pokemon Go, the Speed stat no longer exists. Speed is now based on how quickly you can tap your device screen to execute Fast Attacks and accumulate Energy to unleash Charge Attacks. And there’s also the moves’ animation speed that’s taken into consideration. Meaning, the speed advantage of the aforementioned speedy Psychic-types Alakazam and Starmie has been basically neutralized in Pokemon Go. The flipside to Niantic’s decision to deviate from the main games and feature a different set of parameters is that Psychic-types are arguably no longer as fragile, defense-wise. Pokemon Go only features one Defense stat, which shoulders both physical and special attacks. For Physic-types, this is a huge advantage – they typically have very low Defense stats but fairly high Special Defense stats in the main games, making them very prone to physical attacks. Yes, Psychic-types in Pokemon Go are still fragile compared to other Pokemon, but at least they’re no longer as vulnerable as in the main games. Physical or special attack, it doesn’t matter – the damage they receive will be directed to only one Defense stat. Another good thing is that Ghost-type Fast Attacks – the primary bane of Psychic-types – aren’t one of the most damaging in Pokemon Go in terms of Damage per Second (DPS): Shadow Claw and Lick ranks 10th and 29th in DPS in the game. And that’s with Same-Type Attack Bonus (STAB). Yes, Bite ranks 4th, but the move will only get STAB once the second-gen arrives with the Dark-type Pokemon. Lack of stat-boosting moves is a bummer…or is it? Due to the fast-paced battle system in Pokemon Go, stat-boosting moves like Dragon Dance and Swords Dance are practically useless. Remember, unlike in the main games, move animation is actually very important in Pokemon Go. Players even have the option to completely turn off battle animation in the main games to make battles quicker. This means Psychic-types will never have access to moves like Calm Mind and Tail Glow – both of which boosts the Special Attack stat. In the main games, Psychic-types are made even more powerful with the use of Special Attack-boosting moves (they usually use such moves when the opponent switches out different Pokemon). However, if Psychic-types were to try a similar strategy in Pokemon Go (assuming Niantic actually adds stat-boosting moves), they would be severely damaged by the time they finish setting up. So, in a sense, the omission of stat-boosting moves is somewhat better for Psychic-types, which makes their offense straightforward. At the moment, Psychic-types don’t really have to worry too much due to the lack of their common “predators” – Ghost-type and Dark-type Pokemon (no offense to Gengar). However, once the second-gen and third-gen Pokemon arrive in Pokemon Go, Psychic-types will have a lot more to worry about. There’s the aforementioned Tyranitar, which is basically the Dark-type equivalent of the rare Dragon Pokemon Dragonite. There’s the one-two punch of the creepy marionette Banette and the defense-oriented Dusclops – both Ghost-type Pokemon. And there’s also Houndoom and Absol, two offense-oriented Dark-type Pokemon. On a side note, Bug-type moves will also soon be a threat to Psychic-types when more powerful Bug-type Pokemon arrive in Pokemon Go. Of course, with every generation of Pokemon that arrives in Pokemon Go, more and more Psychic-types will also make an appearance. 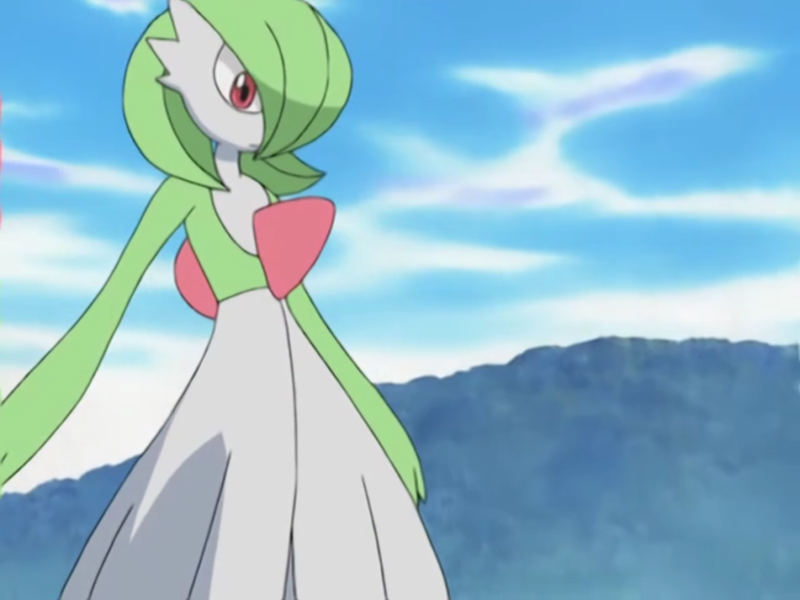 The most notable of which are Espeon (a new Eevee evolution), Metagross and Gardevoir. So it’s not like Psychic-types will be lacking in firepower of their own. As soon as these Psychic-types arrive in Pokemon Go, you can easily buy a Pokemon Go account with them on-hand if you want to quickly show everyone that Psychic-types are still the boss.